Real estate investing is a fantastic path to generate long-term wealth, if your head is in the right place to tackle all of the obstacles along the way. Watching real estate investors on television, going to seminars with high-energy presenters, reading books or magazines can all be entertaining. It can satisfy your interest in real estate investing. But it’s very different from commitment, which is based on action. An interest can entertain you, but a commitment is what’s going to truly reward you. Success is never easy but is always possible with the right real estate investing mindset. So how do you develop the right mindset? 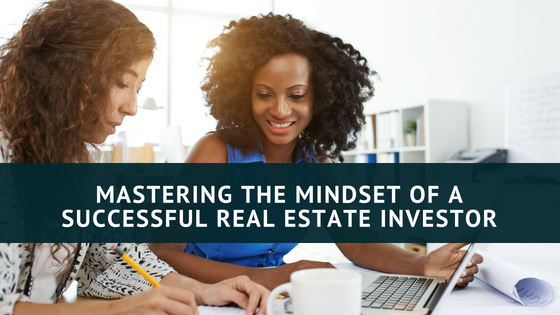 Here’s 5 action steps you can do today to master the mindset of a successful real estate investor. Set Short-Term and Long-Term Goals. Devise your long term vision then chunk it down into shorter actionable every day steps. Consider the time and resources that you will need to get there. Then start on your goals and keep track of everything. By doing this, you’ll be able to noticeably see your progress and where you fall short. Don’t Compare Yourself to Others. It isn’t a competition. Focus on your business and how you can make it the best it can be. Compare your previous months to your current month and keep striving to do better. If you did 3 deals one month, try shooting for 4 deals the next month. Accept that you can’t control everything. Real estate offers us a lot more freedom than a lot of other investments. In many ways, we are the captains of our own fate. In others, we’re not. Instead of trying to move the immovable, control what you can and work with what you can’t to your best advantage. Open yourself to advice and fair criticism. Successful investors know that there is value in constructive criticism. They don’t ignore complaints and critique. Instead, they listen, consider, and investigate. They know that outside perspectives can be valuable in improving their services and strategies. Build a Support System. Create a network of like minded friends. Chat with experienced investors, go to real estate meetings and ask about their experiences. After networking and meeting others, you should be able to form a support system in which you can bounce ideas off of. Successful real estate investors leverage the intangible assets of others, especially when facing a lack of knowledge or experience. Success can only come from trial and error. As a real estate investor, each day is like a rollercoaster with its share of ups, downs, thrills and unexpected turns. Sometimes mistakes can lead to dead ends, while other times they can surface new opportunities. To become a successful real estate entrepreneur it takes a special mindset. A true entrepreneur mindset will encompass an everlasting desire to learn and take risks, using past experiences to shape their path for success.